Woo woo woo! The WWE (self-proclaimed) Internet Champion makes his debut in Mattel's WWE Elite Collection action figure line and he's bringing his unique brand of entertainment to your toy shelf. Alas, all is not well in Ryderland... does this figure live up to the hype or does it crash and burn? Find out... NOW! 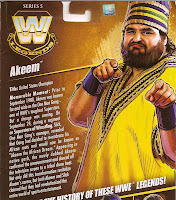 The last figure in Series 5 of Mattel's WWE Legends is another super-heavyweight, Akeem, "The African Dream." Like many wrestlers in the WWF during the 1980s, Akeem's gimmick was outlandish and borderline offensive. He was formerly known as One Man Gang, until that gimmick fizzled and Vince McMahon decided to take a jab at "The American Dream" Dusty Rhodes. 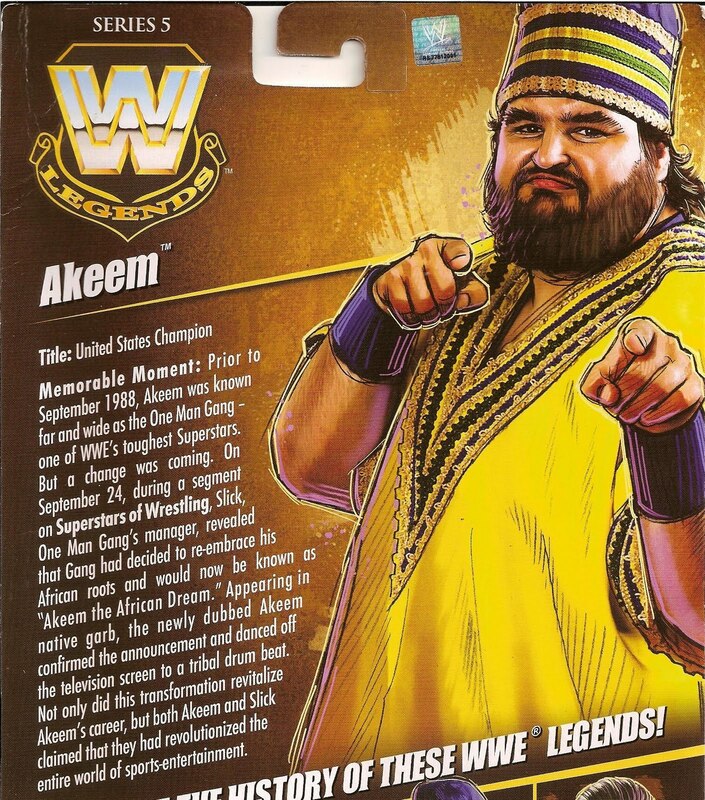 And so Akeem, "The African Dream" was born and unleashed upon the masses. 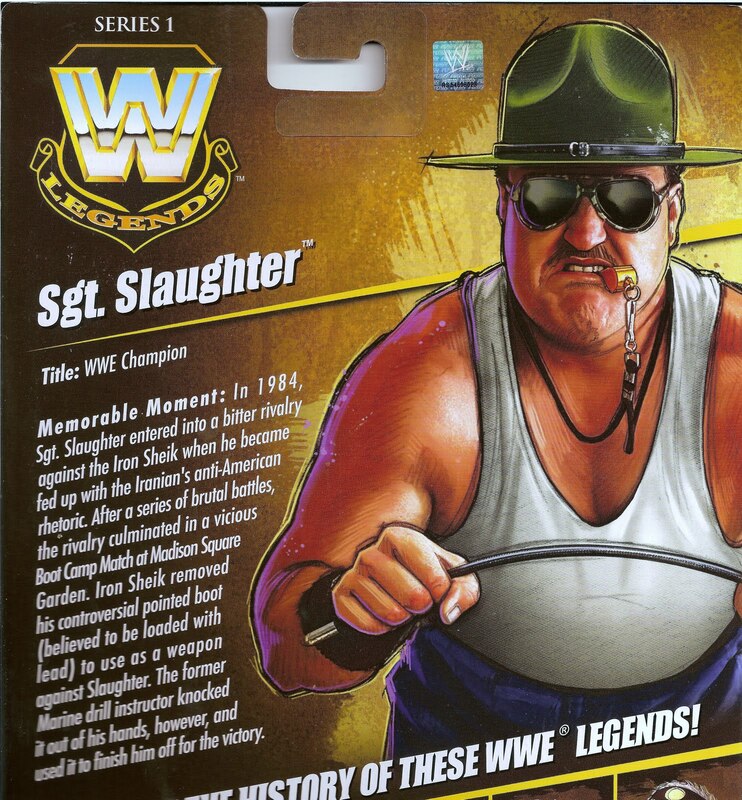 Back in March Toys R Us released a series of two-packs to promote the then-upcoming WWE All-Stars video game. The WWE All-Stars two-packs consist of a set of one WWE Legends figure and a current Superstar from the WWE Elite Collection. Here's a look at Austin versus Punk. "Yes, I am a model." Nothing makes for a better heel than an arrogant, highly skilled, pretty boy. Rick Martel was never at a loss for words when it came to talking about himself and utilizing the spine cruncing Boston Crab, he was a highly-despised grappler in the former WWF. 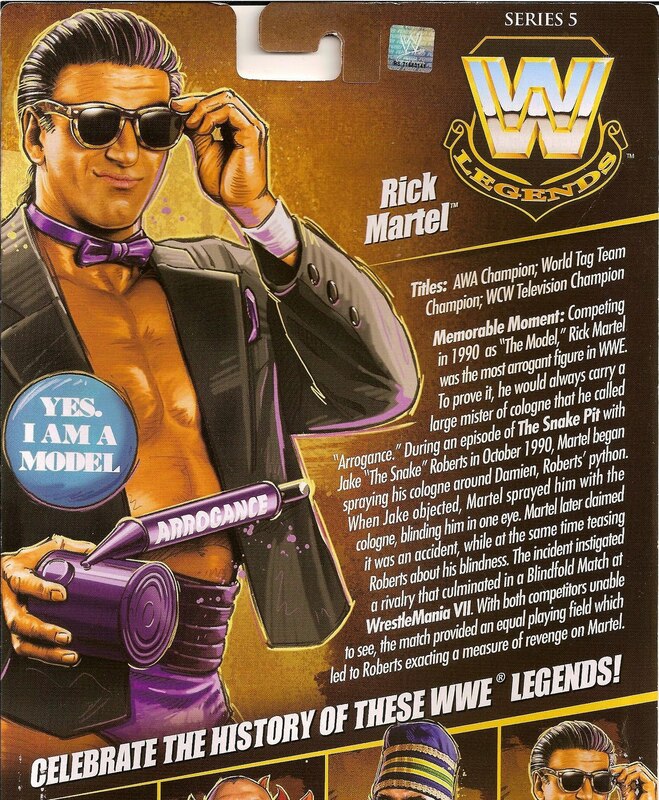 Here's his first entry in Mattel's WWE Legends and I think we won't need another anytime soon. Let's take a quick look at "The Model." As promised, I'm revisiting this month's "Currently on Display" with a few revisions, the main (and biggest) being the addition of Battle Cat in the heroic Masters shelf. You'll also get a look at the FansProject upgraded Rodimus Prime! This morning I was contacted by Chris Noon from TheBigToyAuction.com who wanted to spread the word about a charity auction coming up this Saturday with all proceeds aiding victims of natural disasters. The auction is of particular interest since it will feature, among other cool items, custom action figures created and donated for the event. Please read the official press release after the jump for more information. The self-proclaimed "Awesome One" makes his second appearance in Mattel's WWE Elite Collection action figure line. This time around he dumped the long shorts and gloves in favor of a more traditional in-ring attire AND he's packing some gold! Here's a look at the United States Champion version of The Miz. Fans of Hasbro's G1 Transformers have enjoyed fantastic updates of classic characters for the past several years, spread among various lines (Robots in Disguise Classics, Universe, Reveal the Shield, Generations, etc. ), but some figures have been poorly represented and in some cases, not at all. The good news is that various upstart companies, mostly operated by fans, have been producing great add-on kits and even completely new figures to enhance our collections. Among them is FansProject, possibly best known for their awesome City Commander upgrade for the "Classics" Ultra Magnus. 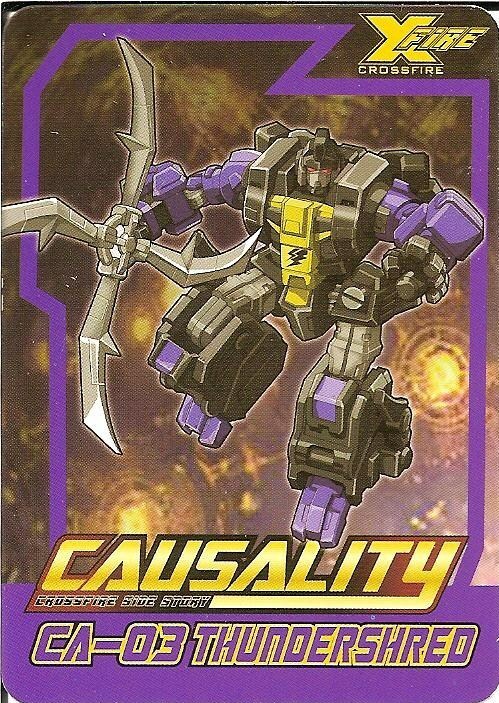 Today we're taking a look at their first figure in series dedicated to those G1 miscreants, the Insecticons. Here is Thundershred! 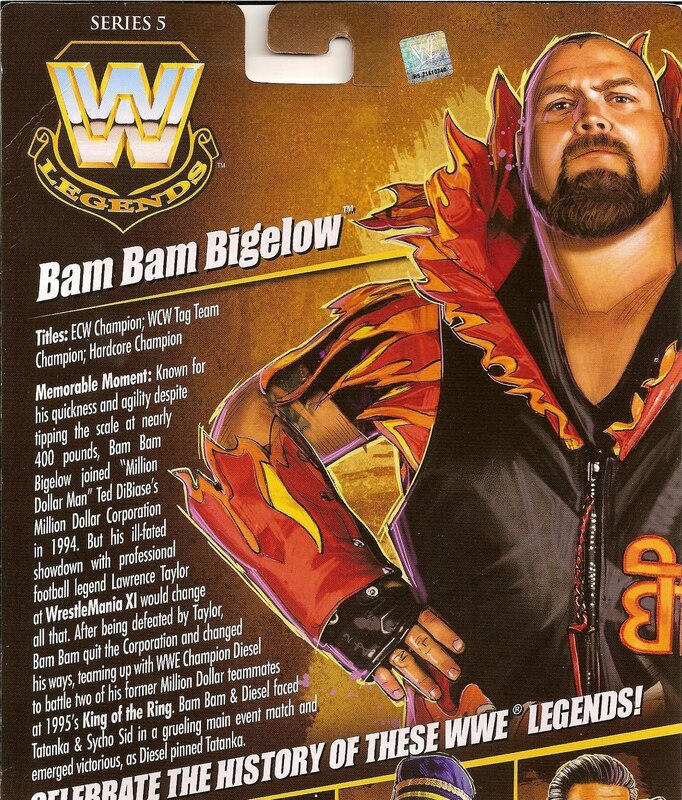 Today we jump back to the future of WWE Legends with another Series 5 review! Well, actually, series 5 has been out for awhile now, but nonetheless it's been one of the most solid waves characterwise, thanks in part to only having four figures. 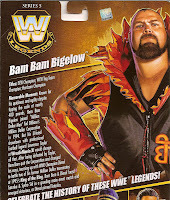 If you're a fan of super-heavyweights, then you are in for a treat as we look at the first of two big, big men in Series 5: Bam Bam Bigelow! Listen up, maggots! 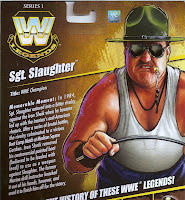 WWE Legends delivers a classic version of everyone's favorite Marine Corps drill Sergeant in today's review of the former wrestling Superstar and G.I.Joe personality, Sgt. Slaughter! He was made available to collectors back in series 1 so this review is somewhat delayed, but it gives us a perfect oppurtunity to see how the Legends line has changed after a year of releases.